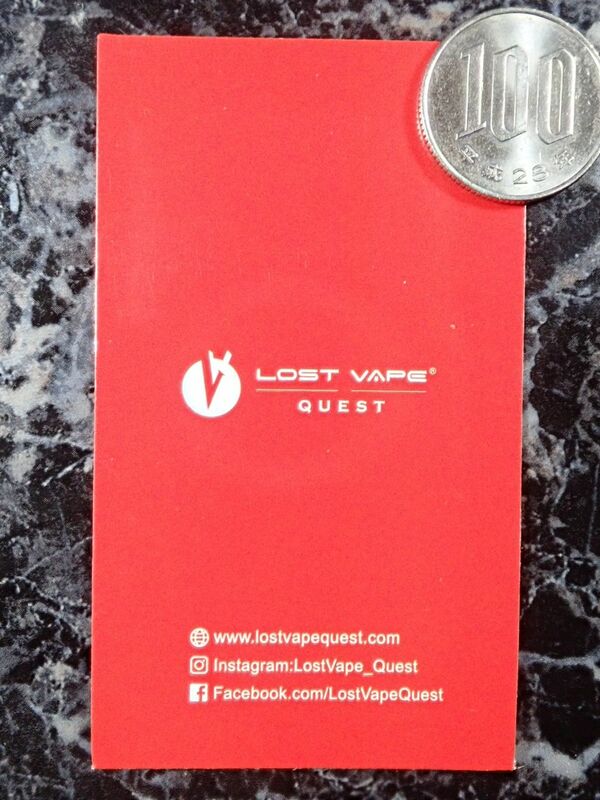 Postscript: The Lost Vape Quest website, Instagram and Facebook are integrated into Lost Vape. ＞The maximum charging current is 0.97A, and the individual will instantly reach 1.03A. Please read this information carefully before using the product and keep it in a safe place. The sale and use of e-cigarettes is prohibited for people under the age of 18. The use of e-cigarettes and liquids during pregnancy and breast feeding, or by a non-smoker is not recommended. 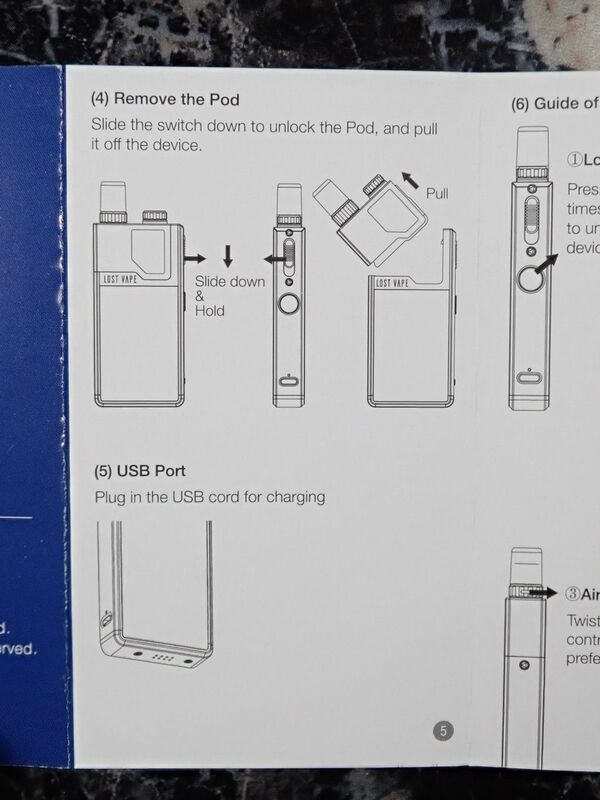 Keep this e-cigarette and its components out of the reach of children. Do not expose the device to extreme temperatures. 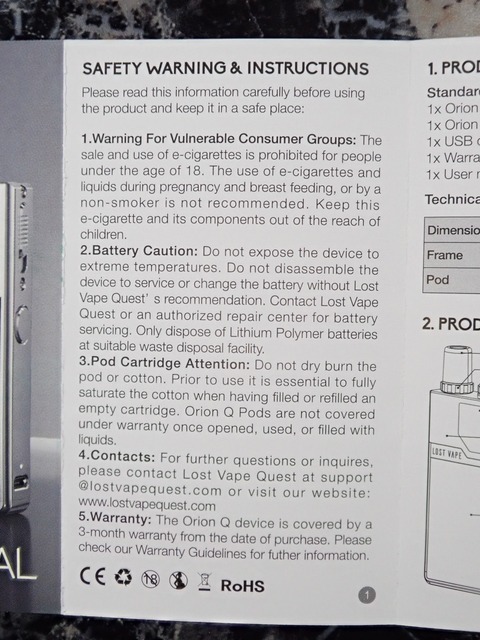 Do not disassemble the device to service or change the battery without Lost Vape Quest's recommendation. Contact Lost Vape Quest or an authorized repair center for battery servicing. Only dispose of Lithium Polymer batteries at suitable waste disposal facility. Do not dry burn the pod or cotton. Prior to use it is essential to fully saturate the cotton when having filled or refilled an empty cartridge. Orion Q Pods are not covered under warranty once opened, used, or filled with liquids. 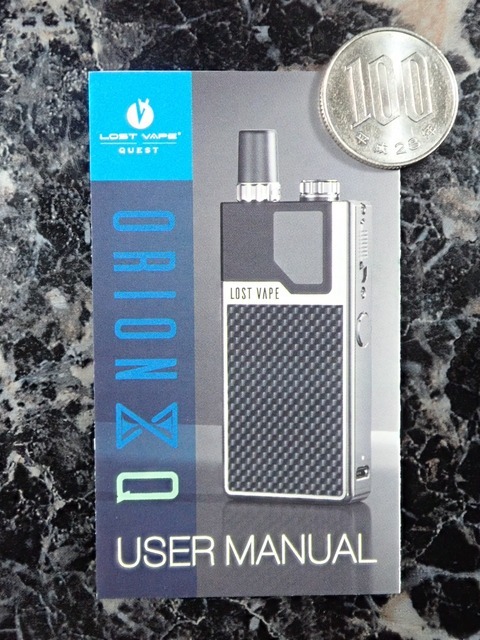 The Orion Q device is covered by a 3-month warranty from the date of purchase. Please check our Warranty Guidelines for futher information. 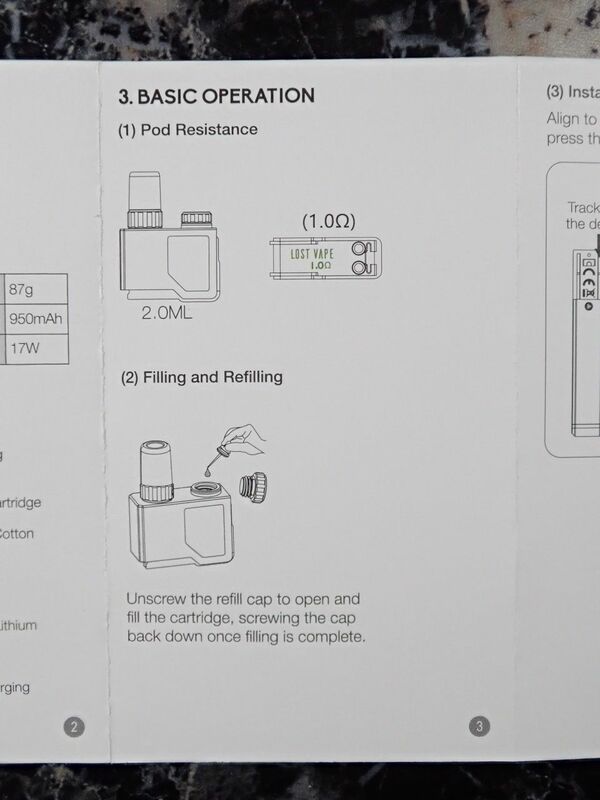 Uncrew the refill cap to open and fill the cartridge, screwing the cap back down once filling is complete. Align to match the tracks of the device and pod, press the refill cap down to lock the pod in place. Press the fire button 5 times within 2 seconds to unlock/lock the device. Twist the airflow control ring to adjust preferred airflow. 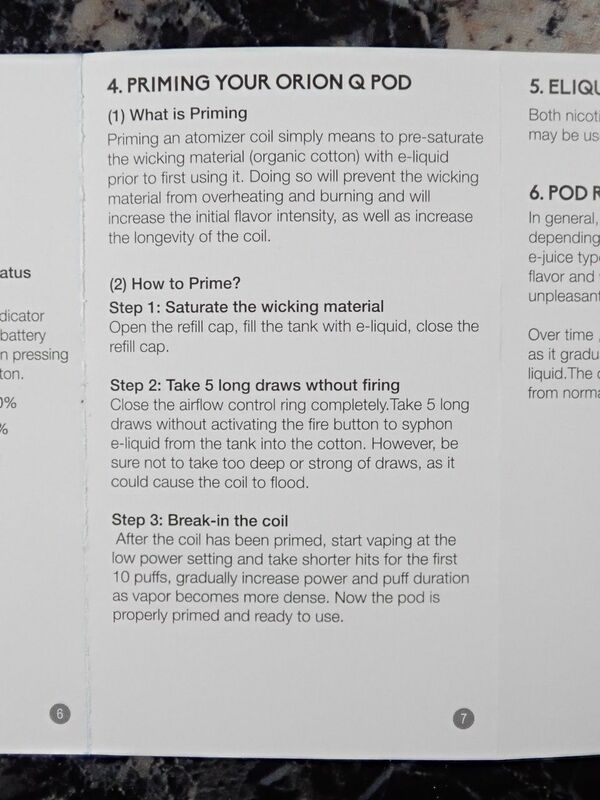 Priming an atomizer coil simply means to pre-saturate the wicking material (organic cotton) with e-liquid prior to first using it. Doing so will prevent the wicking material from overheating and burning and will increase the initial flavor intensity, as well as increase the longevity of the coil. 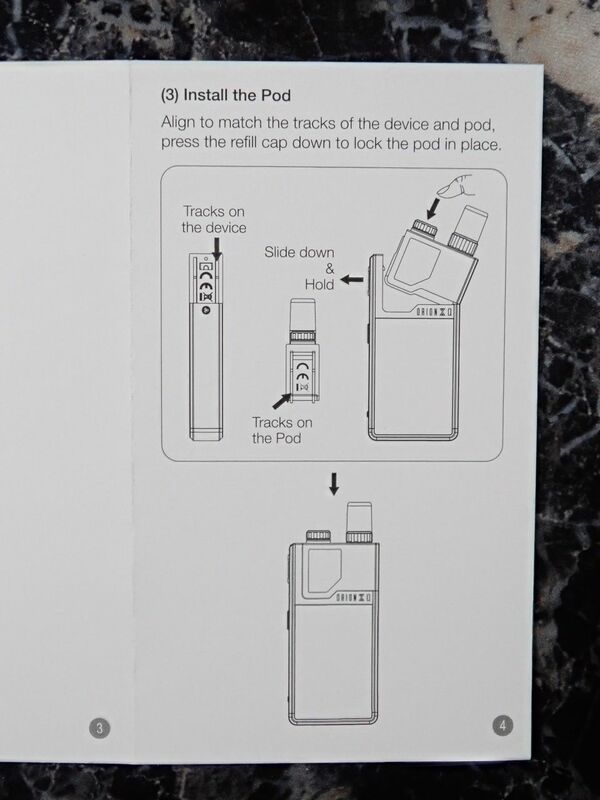 Open the refill cap, fill the tank with e-liquid, close the refill cap. Close the airflow control ring completely. 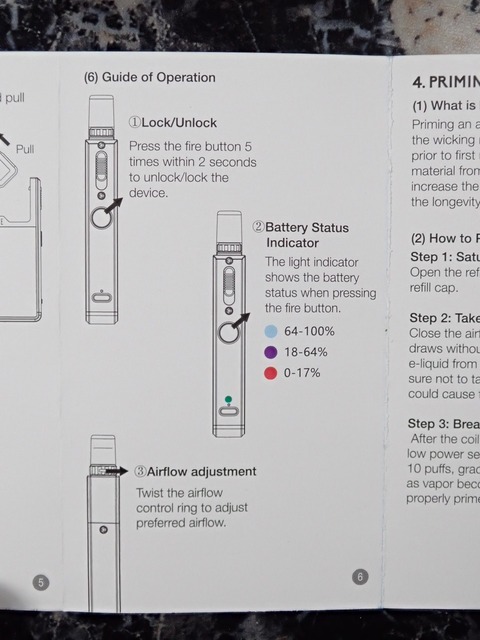 Take 5 long draws without activating the fire button to syphon e-liquid from the tank into the cotton. However, be sure not to take too deep or strong of draws, as it could cause the coil to flood. After the coil has been primed, start vaping at the low power setting and take shorter hits for the first 10 puffs, gradually increase power and puff duration as vapor becomes more dense. Now the pod is properly primed and ready to use. Both nicotine salt and standard nicotine e-liquid may be used with this device. In general, each pod will last for up to 7-14 days depending on puff frequency. power levels and e-juice type. 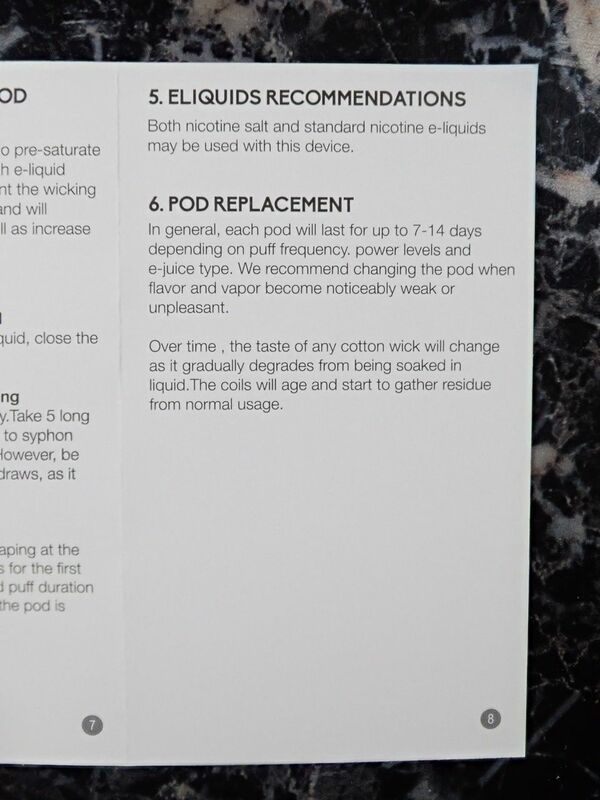 We recommend changing the pod when flavor and vapor become noticeably weak or unpleasant. Over time, the taste of any cotton wick will change as it gradually degrades from being soaked in liquid. The coils will age and start to gather residue from normal usage. 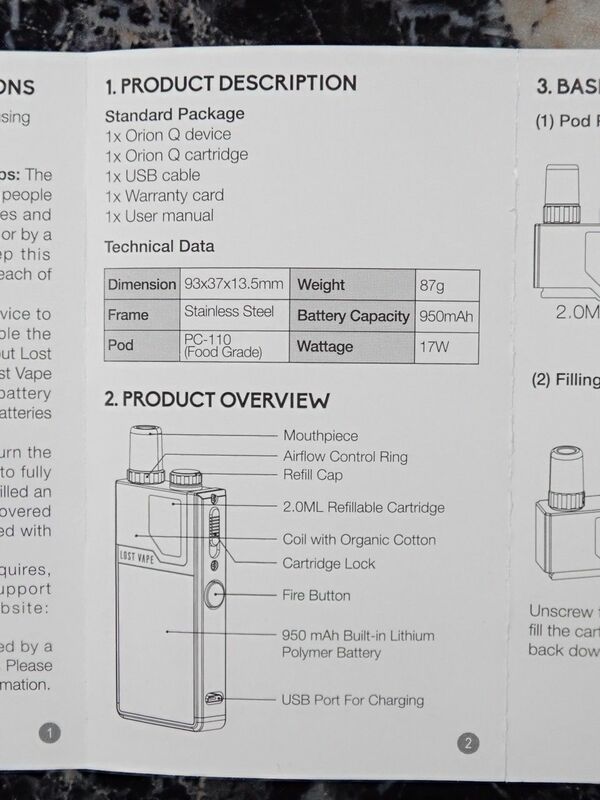 Designed and Manufactured by Lost Vape Ltd. 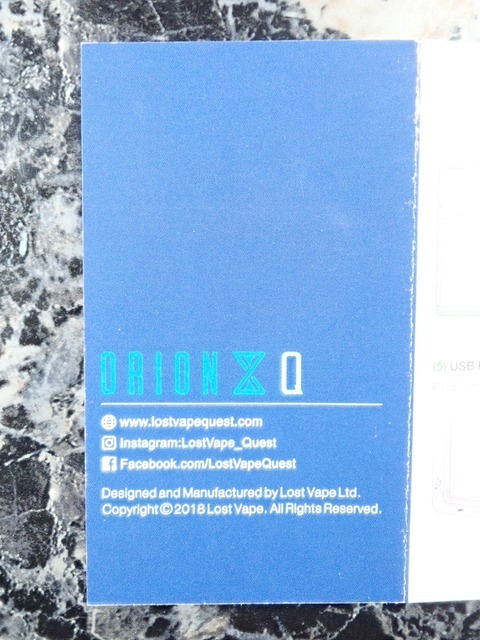 Copyright 2018 Lost Vape. All Rights Reserved. 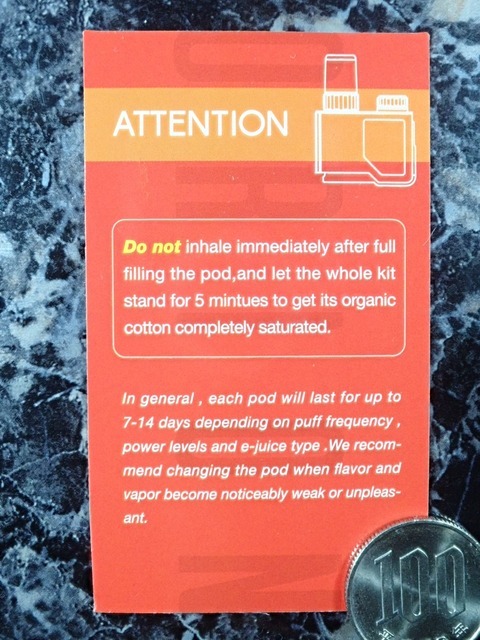 Do not inhale immediately after full filling the pod, and let the whole kit stand for 5 mintues to get its organic cotton completely saturated. In general, each pod will last for up to 7-14 days depending on puff freauency, power levels and e-juice type.